What is a Custom Cutout? Custom Cutouts are made from your photo and printed directly to the material you choose , you have the option to choose from cardboard, foamcore or coroplast. 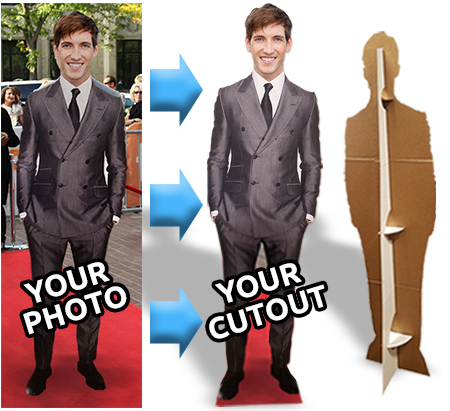 Movie Cutouts then contour cuts the shape of your image to create a life like cutout. Cutouts are resistant to minor scratches and abrasions. Even the sun is no match – our cutouts can endure the harsh effects of direct sunlight. This means your promotional material can withstand many different high traffic areas, such as store displays, movie theaters, offices and much more. The standard material cardboard is white washed on the front to ensure a print true to color. This material is also corrugated along the height for structural stability. Cardboard is our cheapest option providing a nice print and durability. Foamcore lacks the corrugation of the cardboard instead its center is filled with foam. This removes the ripple effect of the corrugation in the cardboard. Foamcore offers the nicest looking print but is very easily damaged. Foamcore is great for exibits behind glass or somewhere out of reach. Coroplast is our strongest material standing for corrugated plastic. Coroplast is waterproof and generally used out doors, or when a cutout is being posed with or handled frequently. Coroplast is strong and durable providing years of use. While being the strongest the corrugation can be seen through the print. Standard production time is Next Day Production This means that orders placed before 2PM Est ship next business day. Also available is our STOP THE PRESS Same Day Ship, Same day ship orders placed and approved before 1PM EAST ship same day. Production time is 1 business days* from proof approval. Shipping time is between 1-7 business days depending on your location. Production time starts when the order is complete. 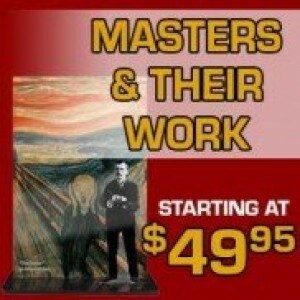 A complete order consists of: an order, the payment, and a photo that has had it's proof approved. If you need your item faster than this estimated time frame, or need it by a specific date, you must use our rush production option and a shipping method other than ground shipping. *At times, production volume may be high and there may be delays in the production of your item(s). Delays of your item(s) due to: mechanical failure, raw material shortage, or delays caused by shipping. We do not guarantee any production time unless the customer has purchased the rush production option. Free shipping method is not a guaranteed shipping method. Bulk orders are not applicable to the 1 business day production. 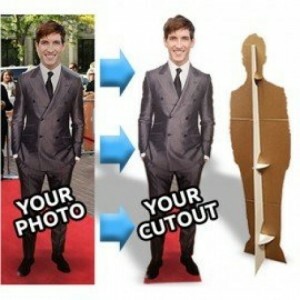 To ensure that your custom cardboard cutout is the best it can be, we have a set of photo resolution guidelines. If you have any doubts or concerns on the quality of your images, please check out these basic guidelines. If you still have questions, please don't hesitate to contact us. Try not to use the least zoom possible, just get closer. Do not cut the feet or arms off. Sharp, focused, and clear images work the best. 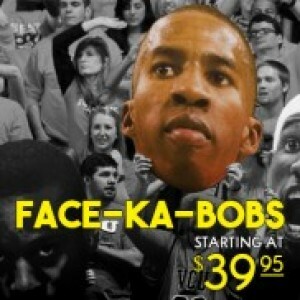 Looking to make a custom headless or faceless cutout? Place your order as usual, but let us know in the comments when checking out, that you would like a headless or faceless cutout. Yup it really is that easy. 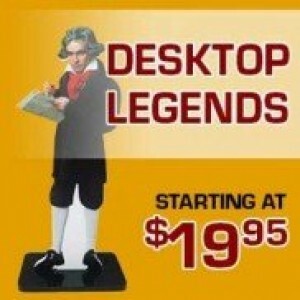 Life Size Custom Cutouts has been the #1 national cutout provider for over 10 years with our lowest Prices on the web! 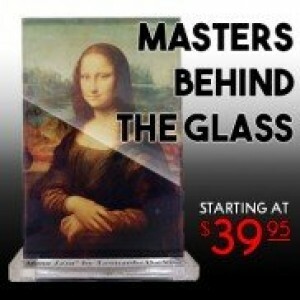 Our pricing is based on the largest dimension of your finished cardboard cutout. A six foot long aligator would cost the same as a 6ft tall person. You can specify the exact height of your subject or make them as large or small as you want. We produce the most cost effective cutouts for your needs. Shop with us today! 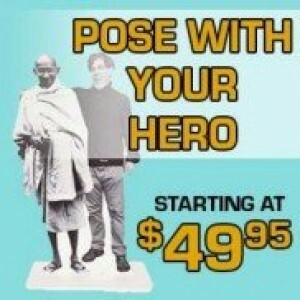 Need 100 or more cutouts for your next marketing campaign? Let us quote your next big job.